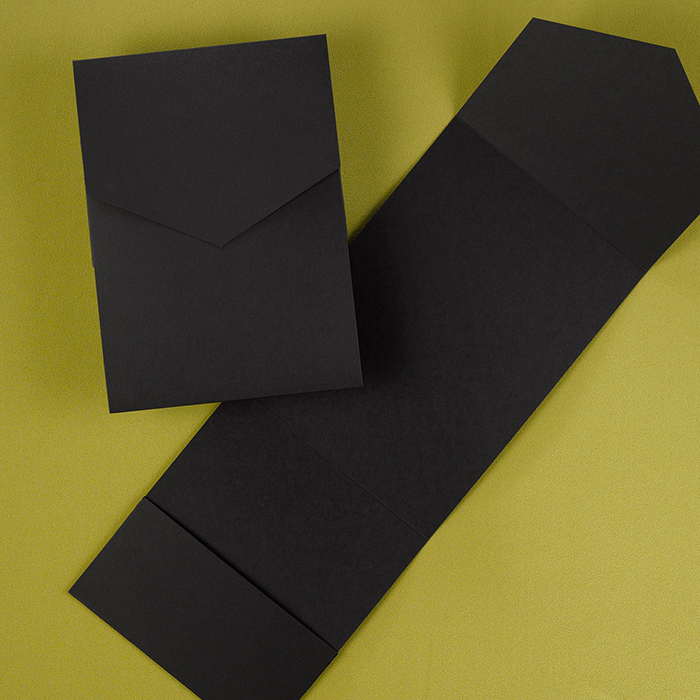 Our black invitation pockets are simple and elegant. 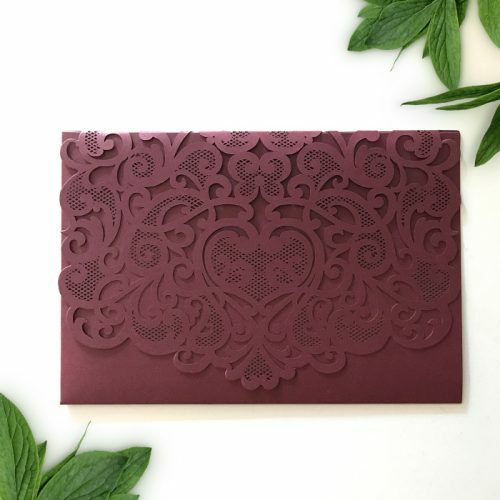 They are the perfect blank canvas for you to create your own DIY wedding invites. 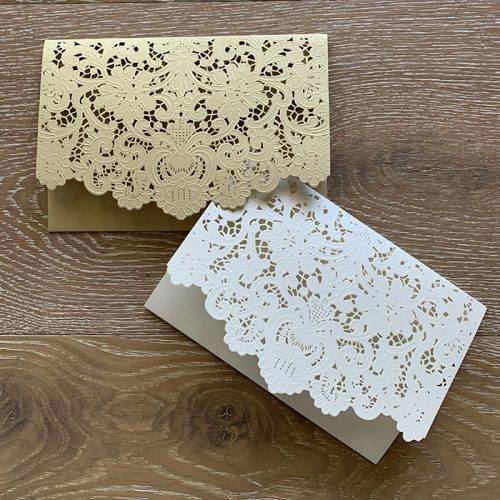 Create your own custom invites by printing your own invitation cards and any additional insert cards. 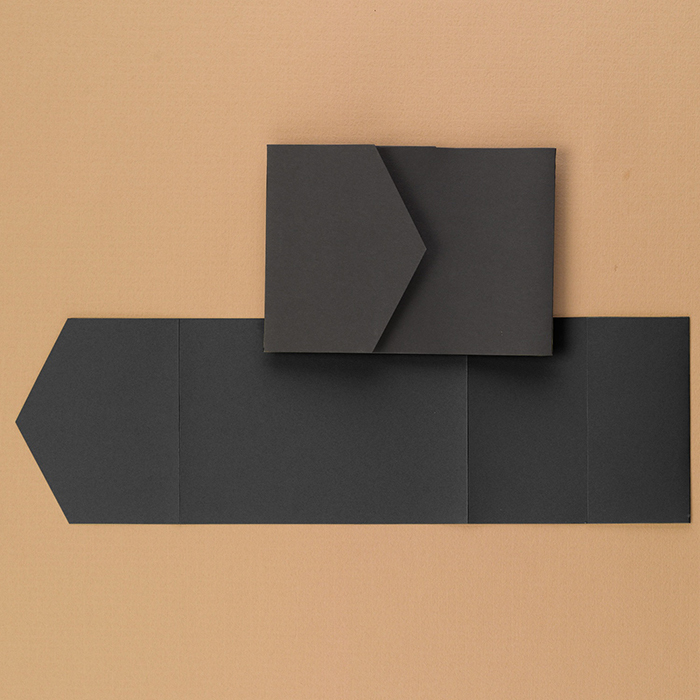 Glue and insert your invitation cards into the custom designed pocket. 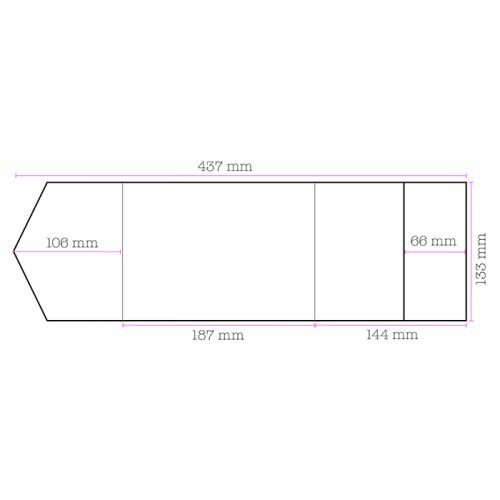 Don’t forget to add any additional elements, such as ribbons, backing card or diamantes to create your own personalised party or wedding invitations. 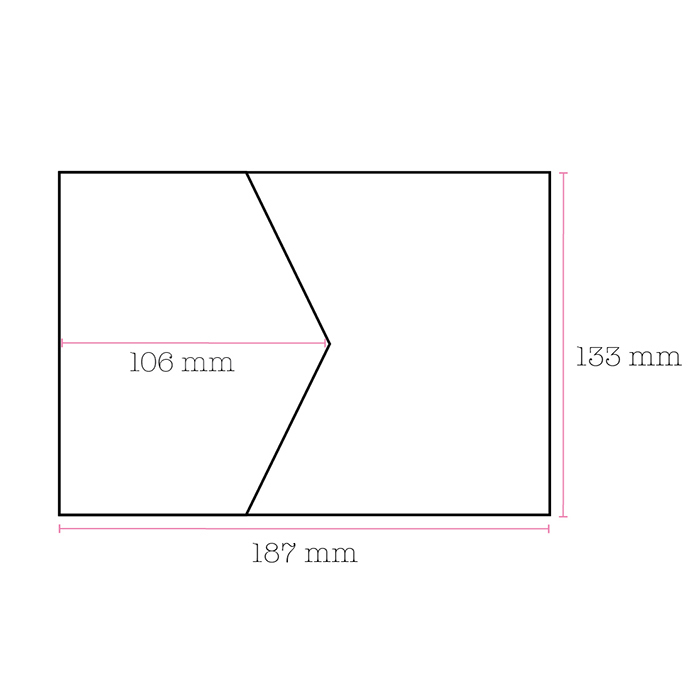 These versatile pockets allow you to use them either horizontally or vertically depending on your own personal style. 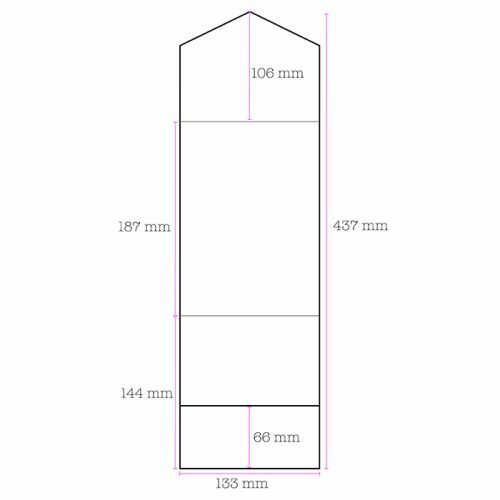 Each pocket pouch comes already assembled (no glueing required) and ready for your own creative flair. 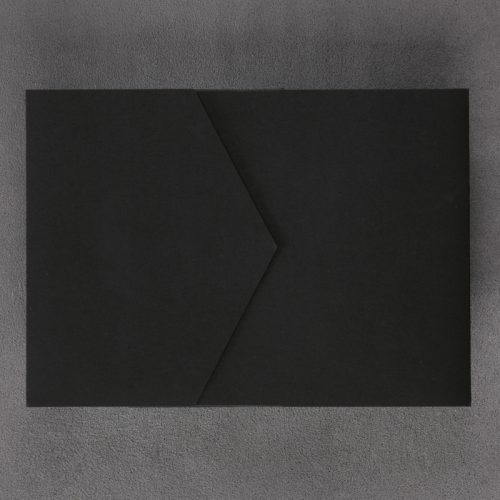 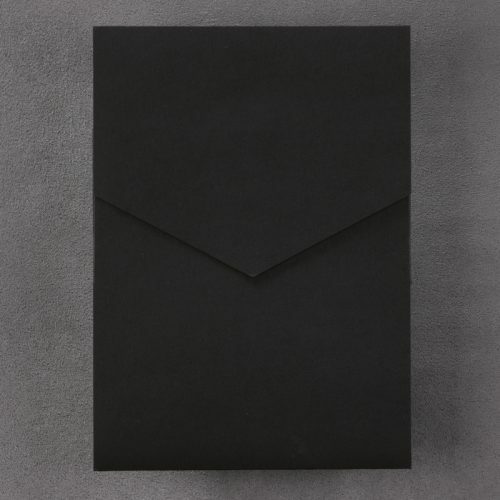 Pricing is for a pack of 10 pre-assembled matte black invitation pockets. 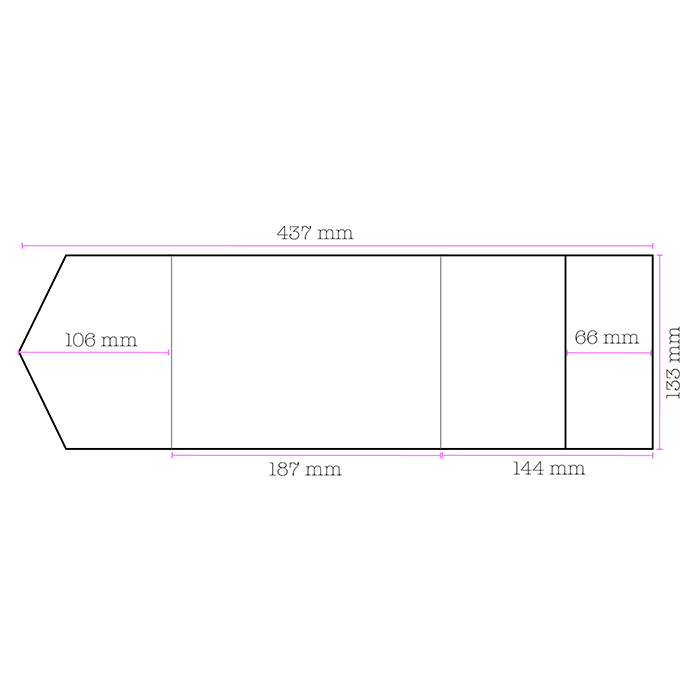 Blank white or cream envelopes are also available separately. 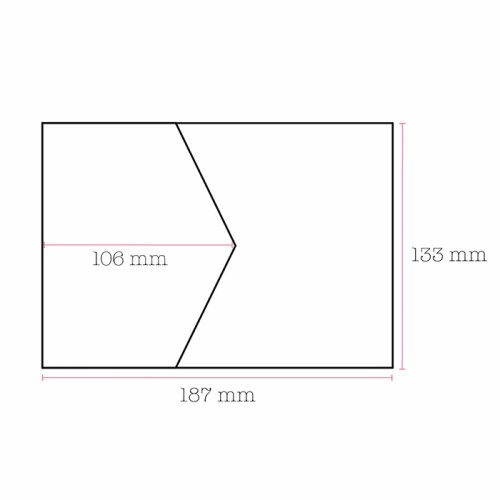 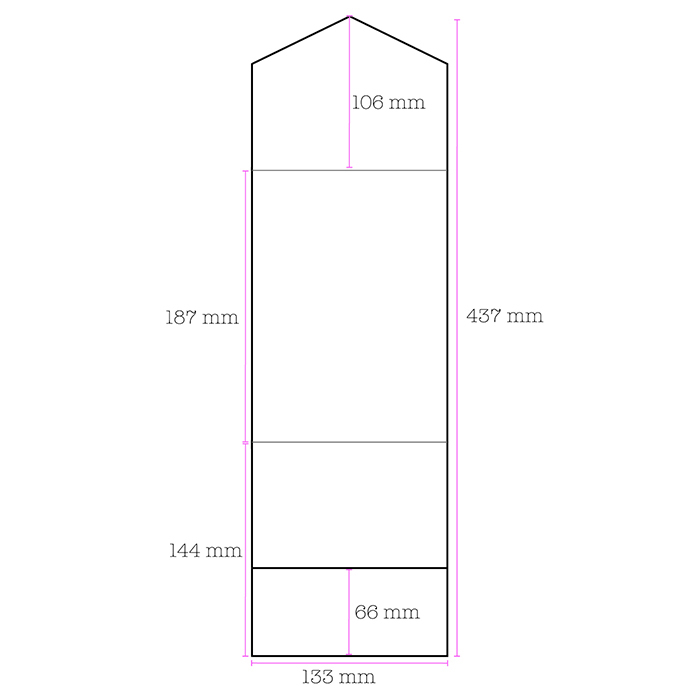 See images for complete measurement breakdown. 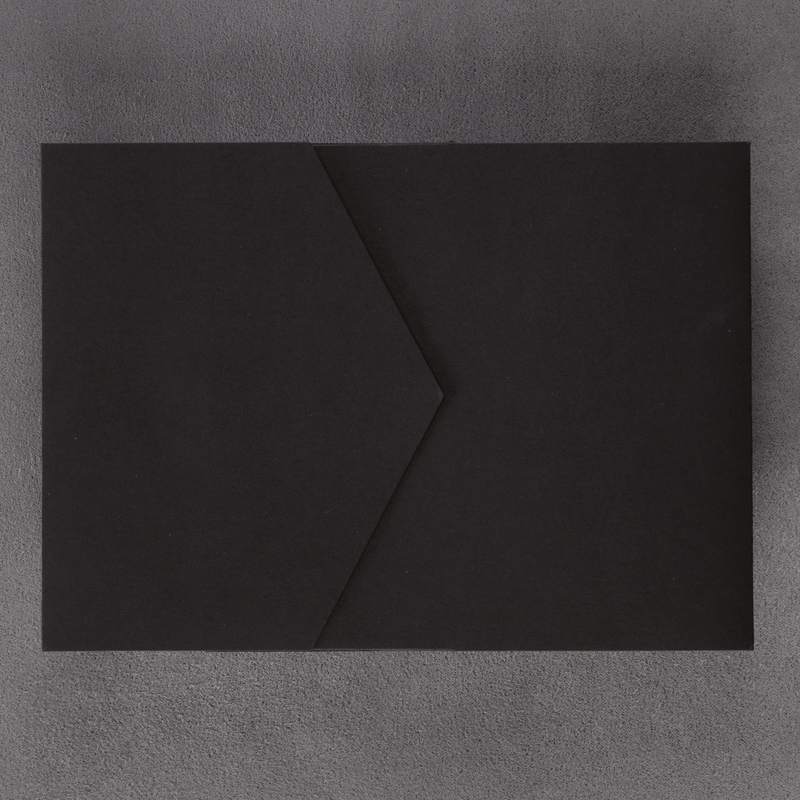 Pricing is for a pack of 10 black invitation pockets.